Made in Japan. Serves for 3-4 People. A Rice Spatula included, 7-5/8in L. Material: Plastic. 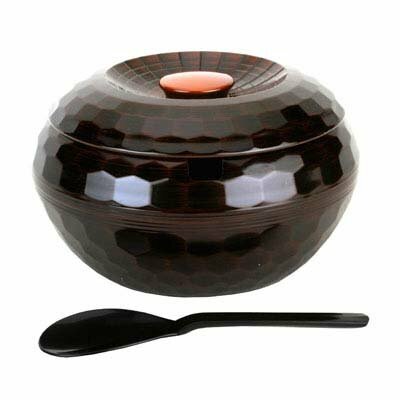 Dimension: Bowl: 8in Dia x 4-3/8 H, Lid: 8-3/4in Dia, 1-1/4in H.